This document shall be considered the governing document for competition in the sport of Lacrosse at the Junior "A" level in Alberta, under the auspices of the Alberta Lacrosse Association (ALA) and the RMLL. The RMLL recognizes that all Divisions may function better by establishing certain rules for each division. It will be the function of each Division to operate its own affairs within the jurisdiction and sanction of the RMLL. The Division, through the RMLL, reserves to itself the right to place teams in the Junior "A" Division, as it may deem best in the interests of the Division. However no team shall be admitted except with the consent of the RMLL. Governance of the Junior "A" Division will be by means of a Junior "A" Executive Council, which will consist of representation from member teams in good standing. Teams may name more than one representative to the Executive Council, but each team will only carry one vote. The Division Commissioner participates in the Executive Council, but holds no voting privileges unless there is a tie vote, in which case the commissioner may vote to break the tie. Only when there are an even number of teams in the league would the Commissioner vote to break ties. If there are an odd number of teams in the league then the Commissioner would not have a vote. 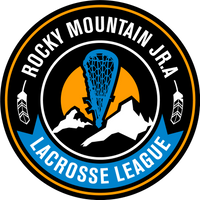 The Executive Council will elect a Commissioner for the Junior "A" Division on an annual basis and recommend the elected individual to the RMLL Executive for ratification. The Commissioner will represent and vote on behalf of the Division at all meetings of the RMLL Executive while being responsible to the Junior "A" Executive Council for the operations of the Division in accordance with applicable RMLL governance. 1.01 Each member team in good standing, which has been accepted by the RMLL shall be entitled to a Franchise Certificate signed by the Chair of the RMLL, certifying that the member holds a franchise in the division· and category for which it is issued, being the Alberta Junior "A" division for the purpose of this governance document. The Franchise certificates shall be non-transferable and non-assignable except as provided in Regulation 1.03, and shall be in effect for the franchise year, January 1 to. December 31. 1.02 To qualify for a Franchise Certificate, a club must submit a completed "Franchise Application Form" signed by the owner(s) of the team or their agent(s) annually to the RMLL..
1.03 The franchise of a member team may be sold, assigned or otherwise transferred if the club is to continue to operate in the same city, town, or location, subject to the approval of a majority of the Junior "A" Executive Council and the RMLL. If the purchaser of the franchise or the present holder desires to move the club from its location to another city, town, or location, the approval of a majority of the Junior "A" Executive Council and the RMLL Executive must be obtained. 1.04 Application for approval of a franchise transfer must be made by the franchise holder, signed by the owner(s) or agent(s) and submitted to the RMLL in writing prior to January 1. In case of an emergency, this date may be waived by the RMLL. A franchise will be surrendered to the RMLL Division if a club fails to satisfy its obligations for the franchise year. 2.01 It will be the Junior "A" Commissioner‘s duty to see that no more than twenty-five (25) players are signed at any one time as per RMLL regulations. 2.02 Players may be released by the completion of the Transfer/Release Form as per RMLL regulations. 2.03 Under no circumstances shall players be signed prior to February 1 of each year as per RMLL regulations. Draft eligible midgets may not be signed prior to draft date. 2.04 The final signing date shall be July 1 of each year as per RMLL regulations. 2.06 All players signed to a Junior A team and all teams accepted into this Division do so on the understanding that they agree to come under the jurisdiction of the RMLL until released by the association as per RMLL regulations. 2.07 All coaches must comply with NCCP & CCES standards & certifications to be eligible to coach in the division. 3.01 To be eligible to play, all players must be signed to the team’s 25 man roster prior to their first league game, or the team shall automatically forfeit any points for games in which non approved players participated. 3.02 Players brought up for a game on an affiliation basis must be clearly noted on the game sheet, must be on their 50 man protected list with the commissioner’s knowledge & consent. Affiliates have no limit to the number of games they can play, however a player on the 25 man roster may not go down to a lower division after they have played 10 games of the regular season in the A division. 3.03 All teams must submit a copy of any interprovincial transfer to the ALA, RMLL & division commissioner prior to the player’s participation in any league game. Failure to disclose will result in forfeiture of the games in which the player participated. 3.04 Each team will have a 50-Man Protected list. There will be no hold out list. There will be no injury list. 3.06 The 50 man protected lists shall be published to all other Junior A teams. There shall be transparency of player movement. To be recognized, all additions to and deletions from the 50 man-protected list shall be communicated forthwith to the Junior A Commissioner & executive Director of the RMLL and to the other Junior A teams concurrently. This communication will be presumed to be by e-mail. Prior to the player draft each year, each team will provide to the commissioner and to the other teams a list of e-mail addresses for designated team representatives for that season. These e-mail addresses will be used to notify the other teams and announce player movements. Notification to these e-mail addresses will be presumed to constitute sufficient notice of player moves to the respective teams. 3.07 The Graduating Midget Draft must be held each year prior to the C.L.A. deadline for provision of the 25 man roster. This will be on or before February 15 of each year at a specific time to be agreed between the teams and the commissioner. Five days prior to the draft each Team will submit to the Junior A Commissioner the names of those players being protected from that team‘s previous year roster. (a) Any player added to the protected list (outside of being drafted, traded or interprovincial transfer) must give consent via email, cc’d to commissioner. 3.09 The order of drafting will be determined by the previous season‘s standings. The team that finished lower in the standings as between the two North and the two South teams has the option whether to pick first in the midget draft. Picks will alternate accordingly throughout. 3.12 The playing rights of a player drafted by a Junior "A" team and placed on that team‘s 50 man protected list shall remain the property of that team for the full five years of that player‘s junior eligibility, as long as the player remains on that team‘s 50 man protected list. 3.13 If a club or team withdraws during the scheduled playing season, the Commissioner shall prepare a list of player personnel available to other clubs as a result of the withdrawal, and shall circulate the list to all member clubs. No player may sign with another club or team until the list has been circulated and players‘ rights have been assigned by the Division, in a manner agreed to and approved by the Executive Council and Commissioner. In the event of a team withdrawing outside the scheduled playing season, the players of that team shall become the property of the Division to be included in a dispersal draft as set up by the Division. 3.13 No team shall contact, influence, practice or play in exhibition games, players who do not come under their jurisdiction in conformity with the above rules and the affiliation rule as per RMLL regulations. 3.14 All trades and compensation of any kind must be documented in writing and confirmed by the General Manager or Governor of all teams involved and ratified by the Division Commissioner. The original copy will be sent to the RMLL, with additional copies to each Junior A team and the Commissioner. 3.15 Coaches, Managers and training staff must be registered with the team. Only registered personnel are to be allowed on the bench during the game. 3.16 Any team found guilty of knowingly or recklessly playing a player who is over the age limit permitted in the division in which it is participating, as outlined by appropriate Canadian Lacrosse Association (CLA) policy, shall be automatically suspended for the balance of the season. If this occurs during the playing of the original schedule, all games won by the team with the ineligible player in the lineup shall count as wins for the other team. If however, a player is not found to be over the age limit until the semi-final or final series is reached, then only the game or games in which they participated in the semi-final or final series shall be awarded to the other team. 3.17 Any team found guilty of playing an ineligible player, other than over the age limit permitted, during a regularly scheduled game shall forfeit all games won in which the ineligible player was a participant. Points will be awarded to the opposing team. 3.18 Clubs which play against ineligible players and which willfully conceal knowledge from the league until it suits their convenience to use it in any protest which arises, shall be considered equally as responsible as the team using the ineligible player and shall be subject to the same penalties. 3.19 The penalty for breaches of Regulation 3.01 to 3.17 will be one hundred dollars ($100.00) for each offense and loss of the game, if applicable. 3.19 Only players who have not attained their twenty- first birthday prior to January 1 of the playing season shall be eligible to play in the Junior category. Proof of age shall be in the form of a certificate issued by the appropriate Registrar of Births or equivalent. Alternative proof of age may be accepted by the RMLL. 3.20 In accordance with RMLL regulations, Junior "A" clubs must submit a roster to a maximum of twenty-five (25) players on or before May 1. In addition, pursuant to 3.04, each Junior A club may protect, list and affiliate any eligible player whose Junior A playing rights are the property of the Junior "A" teams, as described in 3.04. The Junior "A" clubs must register a maximum of fifty (50) players or less prior to the first league game. 3.21 The Protected Lists may include only those players who have previously signed with the team, or are protected pursuant to section 3.04, or those whose trade has been properly approved by the Commissioner. 3.22 Only those players whose names appeared on the Protected Lists or who are free agents are eligible to be signed prior to May 1. 4.01. Junior "A" teams may affiliate any player whose playing rights are held by the respective team, in accordance with 3.04 and 3.21. 5.01 Any team using another club‘s players in exhibition games, regular season or playoff games, without a proper authorization per RMLL regulations, shall be fined fifty dollars ($50.00) and forfeit any points gained from subject game. Any monies received from such fines will be credited to the Junior "A" Division. 5.02 Any lacrosse team judged by the division to be tampering with a player of another club may be the subject of a complaint to the RMLL . That team shall have sanctions applied as determined by the Commissioner and/or the RMLL Discipline committee and in addition shall be subject to a fine to a maximum of five hundred dollars ($500.00) by the RMLL. 6.01 In no case may a Commissioner levy a suspension for more than five games, but may recommend in writing a further suspension, which can only be authorized by the RMLL. 6.02 In the event a Commissioner asks for a levy of more than five (5) games, there must be a hearing, and the Commissioner and defendant have the right to be present at the hearing, either in person or by telephone conference. 6.03 Players‘ certificates, and managers, coaches‘ and trainers‘ permits may be suspended by the Commissioner, for breach of the Bylaws or Regulations, for any period which the RMLL may deem appropriate. 6.04 All suspensions imposed by a Commissioner must be announced within ten days of the infraction or declared invalid; except in the instance of a Match Penalty where the suspension is automatic until dealt with. 6.05 When a player, coach, manager or trainer is suspended by the Commissioner, the suspension will run concurrently and will become effective immediately his club is notified. Any player under suspension may not play in any scheduled or unscheduled exhibition, league or playoff games. Any member of a club, namely coach, manager, player, trainer or any person on the list of executives, who receives a suspension shall not be allowed to participate in game operations and must remove themselves from the team area, including dressing rooms. They may watch from the stands but must remain inconspicuous in their attendance. If the suspended individual continues to participate in the game, this will constitute a loss of points and a further suspension. 6.06 In the event of a hearing at which any person is likely to receive a suspension of more than five games, they are to be notified in advance of the meeting so that they and/or one delegated person may be present and be allowed to speak on their behalf. 6.07 Players, coaches, managers, trainers, club management or club executive, or any other club or team personnel will be suspended immediately for making any physical contact with a referee or game official in any manner. All officials must report such attack on their persons in full detail within twenty-four hours following the incident to the Commissioner and RMLL Discipline Chairperson. Any person suspended under this section shall be ordered to appear before the RMLL to state their case. The reporting referee or game official must also appear at the meeting. This meeting must be held within fourteen (14) days of the RMLL Discipline Chair receiving the Official‘s report. 6.08 All officials must report in full detail any member of a Divisional executive who makes physical contact or who verbally abuses a referee or game official in any manner at any time. This report will be sent to the Chairperson of the RMLL within twenty-four (24) hours following the incident. The member of the Divisional executive will be subject to discipline pursuant to the regulations of the RMLL. 6.09 Where Suspensions are not specifically set out in this operating policy, the Junior A Division adopts the suspensions set out in the RMLL Regulations and Bylaws. 6.10 In any case where a person is suspended and ordered to appear before the next regular meeting, the time that has elapsed between the date of such suspension and the date of the meeting may be credited to any further suspension if the meeting so decides, providing the suspended person or his representative appears at the meeting. 6.11 In the event of a hearing, the defendant and witnesses may be present in person or by telephone. A written record of proceedings must be kept. 7.01 No game may be postponed without the approval of the Commissioner, otherwise such games will be considered as defaults. 8.01 In the event of a team defaulting a game, any legitimate expense incurred in consequence of the default shall be reimbursed by the defaulting team. In the event of a disagreement, the legitimacy of claimed expenses will be determined by the Commissioner and his decision is final. 8.02 A team defaulting any match in a playoff series shall be barred from further competition in the series. All scheduled matches played by such teams shall be counted as played, and all unplayed matches shall count as wins to the team scheduled against the defaulting team. 8.03 Any team intending to default shall notify the Commissioner and the team scheduled to play against it of such intention at least five (5) days before the scheduled date, otherwise the defaulting club and its sureties shall pay to the other club affected, the referees, officials and Association, such sums as the League shall find to be owing; and in default of such payment, the Association may bring action as it deems suitable for the recovery of the amount. The defaulting team will also be subject to a $1500 fine payable to the Alberta Jr.A Lacrosse League. 8.04 In the event of a defaulted game, no player shall be awarded a goal. However, the non-defaulting team shall be awarded two (2) points in divisional standings. 9.01. Please refer to the RMLL Appeals Process under RMLL Regulations. 10.01 One day road trips and special scheduling requests are an individual team decision. 10.02 Game sheets shall not have "stickers" with player‘s names pasted on the game sheet; the players who go on the floor must be on the game sheet for league games; the number of players on the floor must match the number of players on the game sheet. 2. Goals for and against other team or teams tied. Goals for minus goals against. Best differential. 10.05 The Home team shall wear their DARK jerseys and the visiting team shall wear their LIGHT jerseys. This may be changed by agreement of both teams for a specific game. 10.06 A $100.00 fine will be imposed for a second offence for a team failing to update their statistics on the website within 48 hours of the end of a game and for a home team‘s failure to post the score of the game on the web site within four hours of the end of the game. The statistics that must be updated are the game score, goals and assists. Other statistics, including loose balls, shots on goal and goalie stats, are the responsibility of the individual teams. ( November 22, 2008). 10.07 Coaches must submit mandatory referee evaluations to commissioner & RMLL Executive Director within 24 hrs. of game end or subject to a fifty dollar (50) fine. 10.08 Call-ups from Junior B are permitted, even where there are healthy Junior A players scratched from the line-up. (November 22, 2008). 10.09 Teams will play a five minute over-time sudden death overtime period to decide tie games. If there is no goal scored in the overtime period, the game will be recorded as a tie. (November 22, 2008) except in the playoffs where there must be a winner. 10.10 There shall be mandatory game day protocols to be implemented by the teams on a best-efforts basis. 10.11 Amendment of Operating Policy. This operating policy may be amended from time to time by the Executive Council of the Junior A division as may be deemed necessary for the operation of the Alberta Junior "A" Lacrosse League.